Venus-U filter makes it possible to obtain photographs, CCD or video images in the UV-A (320-400nm) and observe Venus’ cloud structures. Use with monochrome CCD cameras and you need to remove the cover glass of sensor and internal UV-IR blocker in order to pass UV light. The same holds true for mono DSLRs that its built-in low pass filter needs to be removed. 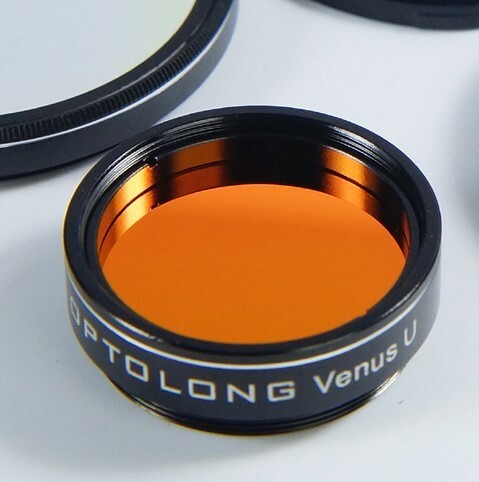 What’s more, you need a special UV lens together with camera body. The sensor of CCD or CMOS cameras is capable of detecting light in the 350-1100nm range. Act as an outstanding dust shield, which prevents the possibility of dust settling on the lens during long time exposure. Ultraviolet photography finds practical use in medicine, dermatology, botany, criminology and theatrical applications.